Is your winter as cold as ours? 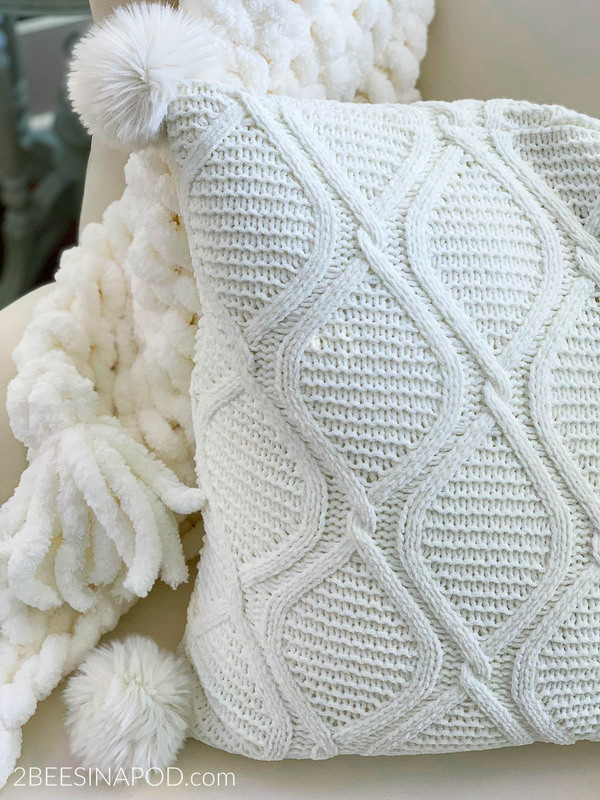 We have some ideas for making your winter home decor cozy and inviting. Truth be told, I know that lots of you have much colder winters than we do. And full-disclosure, I love cold weather and truly wish that we would have some snow. Rumor has it that on Sunday our thermometer will reach the teens! So far, this is the coldest and wettest winter that we have experienced in a long time. Therefore, we can’t get outside very much. Making your winter home decor cozy and inviting creates a beautiful space for the season. In the dead of winter a lot of us live in areas where the season is taking its toll. If you take a look around things can look pretty bleak – there are no leaves on the trees, the ground is far from green and your home is probably drier than the dessert from the heat being on all the time. 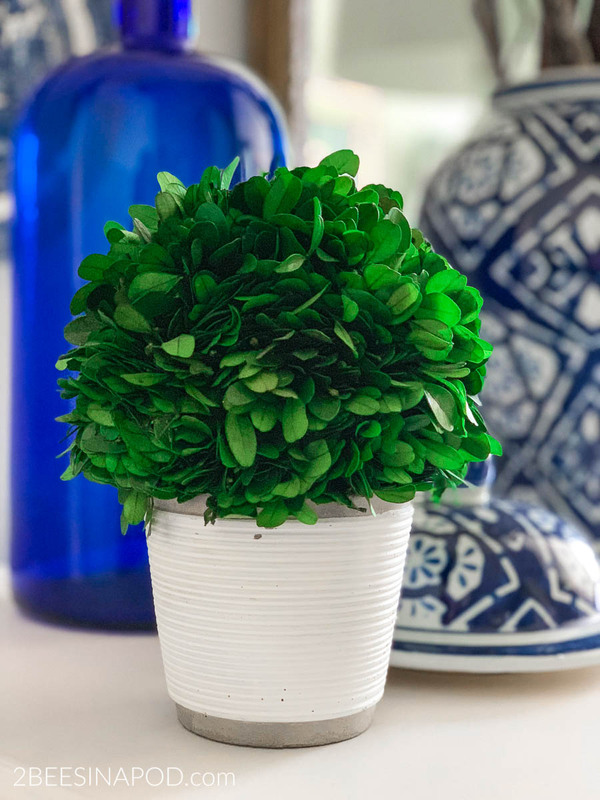 Bringing plant life and greenery into the house can instantly liven up your rooms. 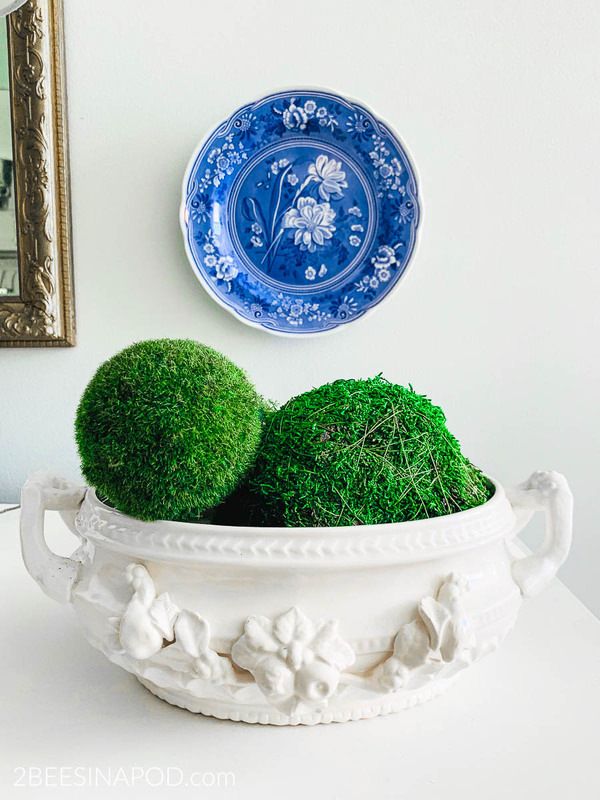 At this time of year my favorite greenery is dried boxwood and moss. They don’t dry out like plants tend to, although I have these in my home as well. 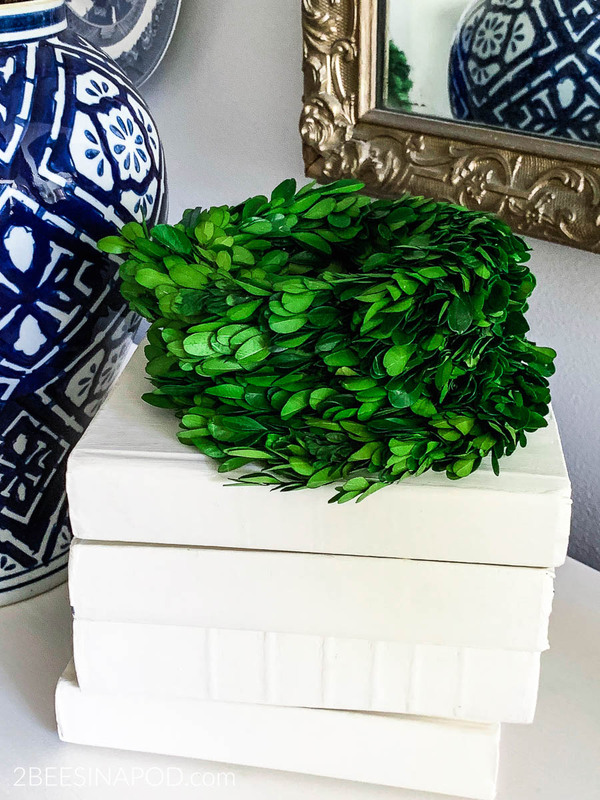 Boxwood and moss are bright green in color and so fresh looking. 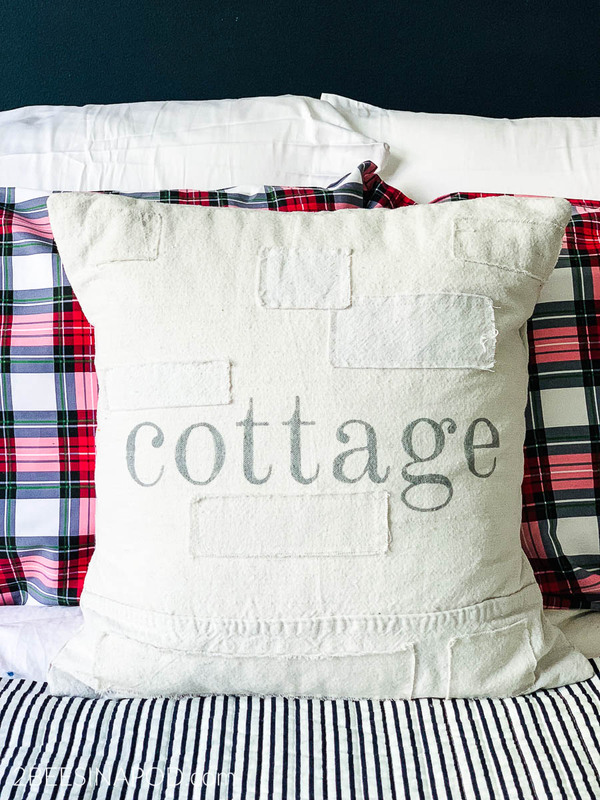 Nothings says “cozy” quite like a comfortable throw and pillow. In my home these are changed out seasonally. For wintertime I like to use textiles that are plush, warm and super-soft. Think about changing the linens in your bedroom(s) too. Mixing and matching patterns is always fun and a good time to showcase your personality. 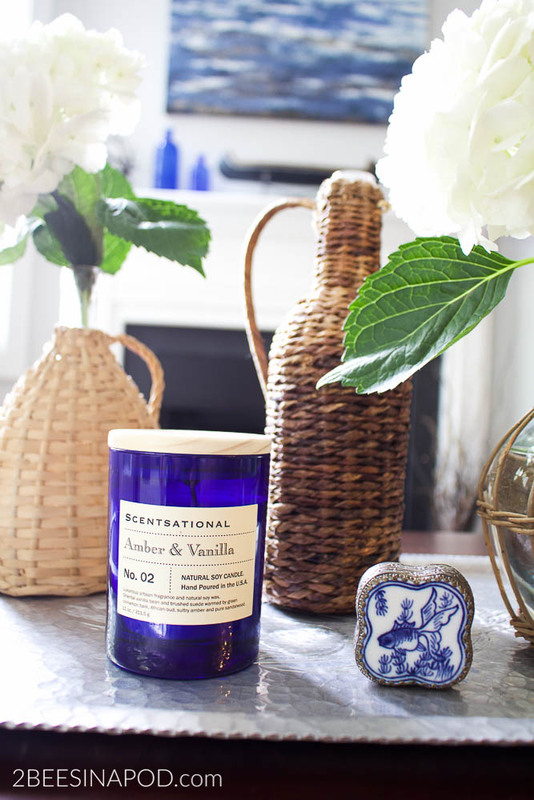 Each of us has our personal favorites when it comes to fragrance, especially in our homes. Some might prefer spice, fruit, woods, floral or 100’s of other combinations. Maybe you like something that makes you think of a future vacation…the beach or mountains. 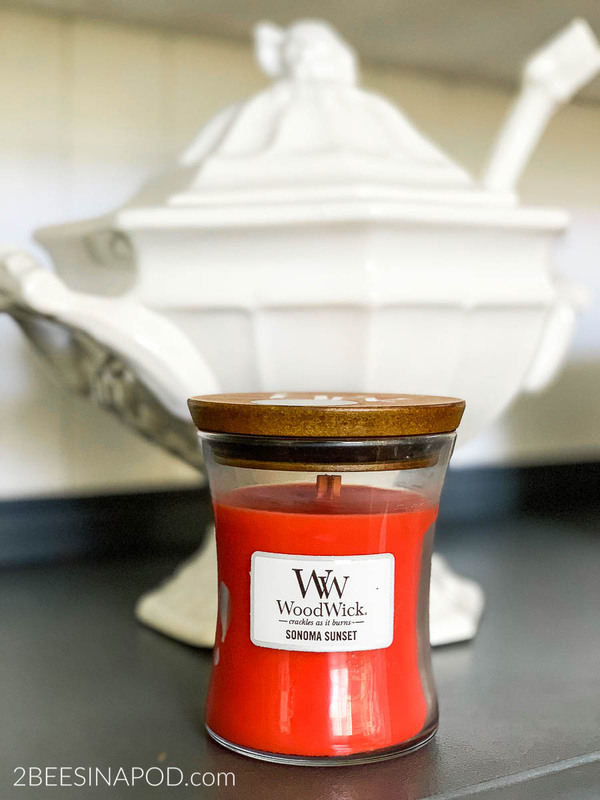 In my home I use fragrance in different ways. Candles that I typically burn in the evenings. Simmer pots on the stove during the day. 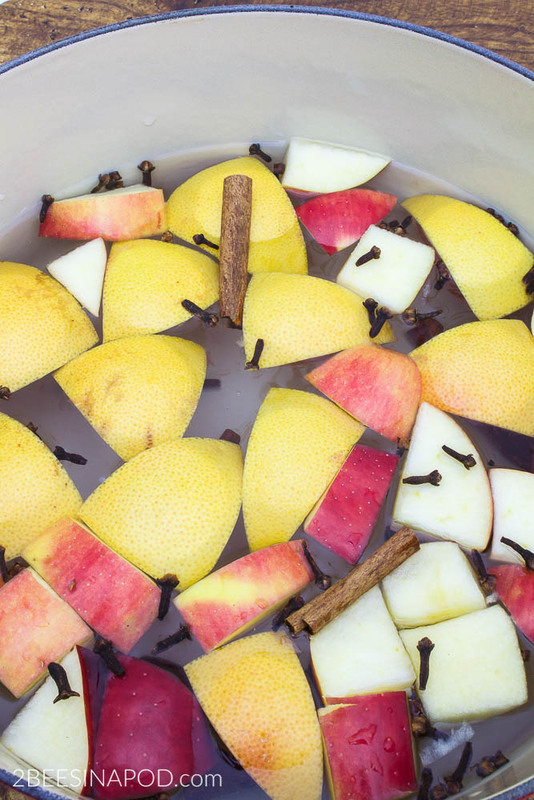 THIS recipe with apples is so good. 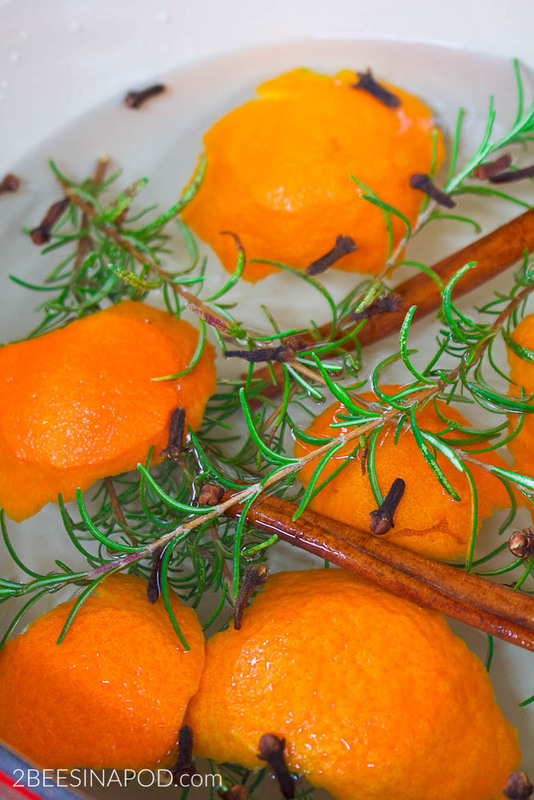 A simmer pot with orange peels, rosemary, cinnamon and cloves is a surefire winner to banish winter funk. You can get our simmer pot recipe HERE. Did you know that just by peeling an orange, the spritz of the zest can improve your mood by 70%? 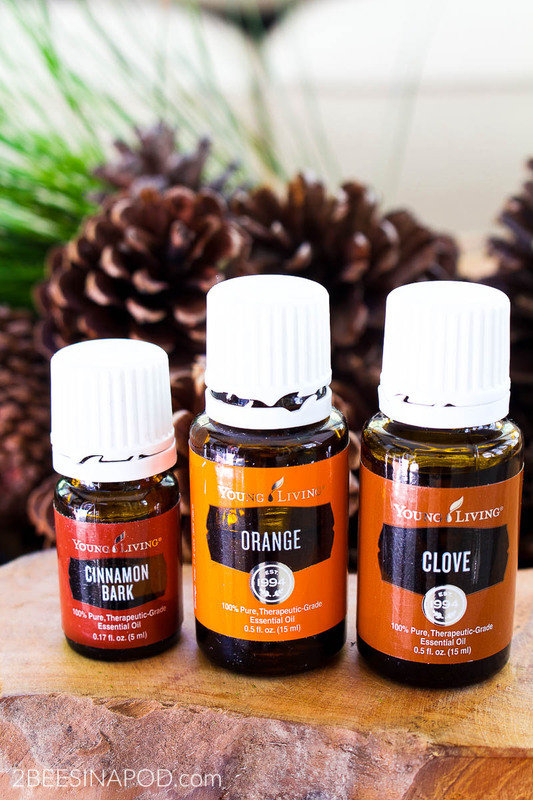 Using essential oils is another great way to introduce fragrance into your home. I use a diffuser during the day as well as at bedtime. Also, I created these DIY Scented Pinecones 3 months ago and they are still amazingly fragrant! 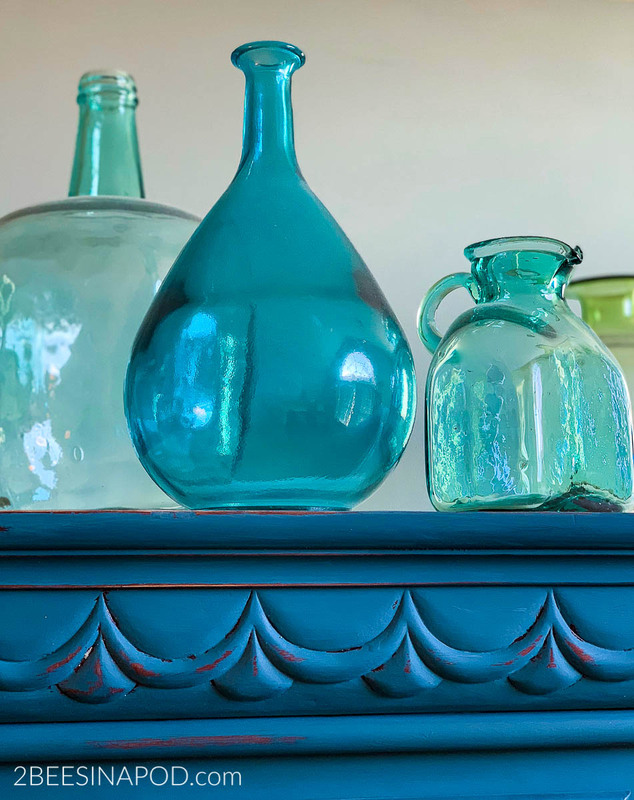 Bottles with color add instant vibrancy to a space. You only need to add a small grouping to make an impact. They look beautiful when the sunlight hits them – this is especially great on days when it is too cold to go outdoors. There is a definite warmth and charm about vignettes and displays. 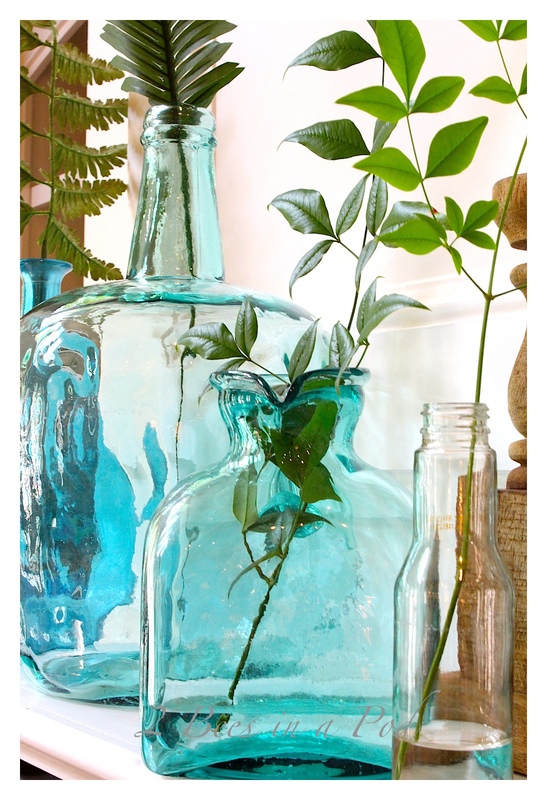 This is a perfect way to bring out a beloved collection and show it off. Put it on a tray or inside of a basket. 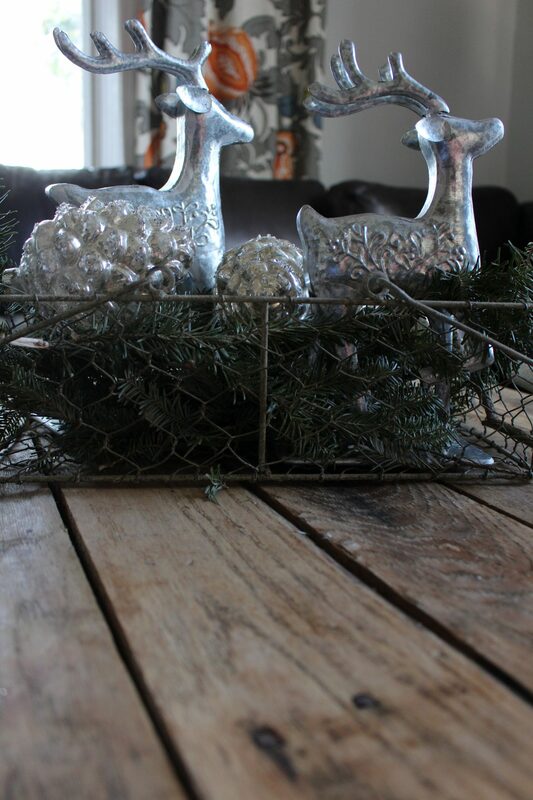 We even like to keep out some of our Christmas items that double as winter decor. We hope that you found these ideas helpful and inspiring! How do you keep your home warm and cozy during the winter season? Thanks for all the neat ideas. 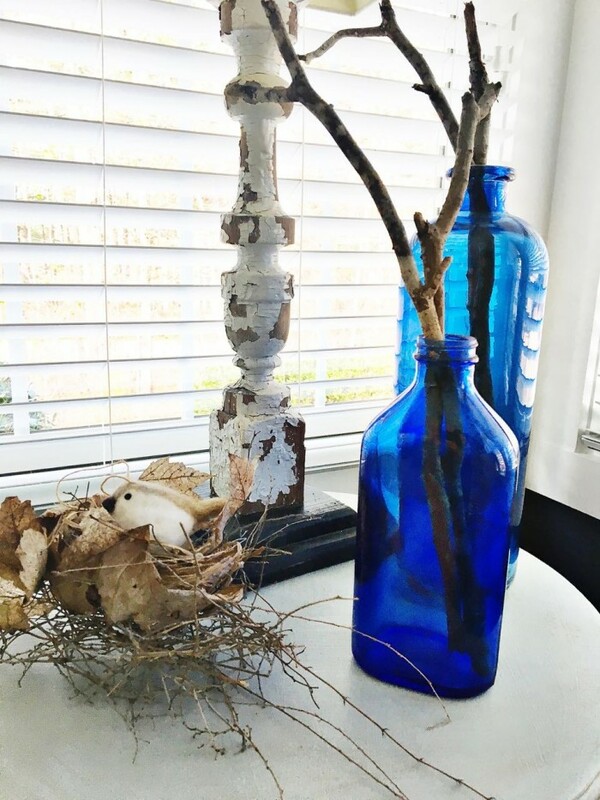 Your home looks lovely.. I’m also a lover of blue and white and have just found your blog. Enjoying your post. Welcome! We are so happy that you found us! Blue and white is definitely one of our favorite color combinations. Thanks so much for following along! CoCo – we know exactly what you. At first the house seems so barren and depressing. Then is seems stark and frozen. 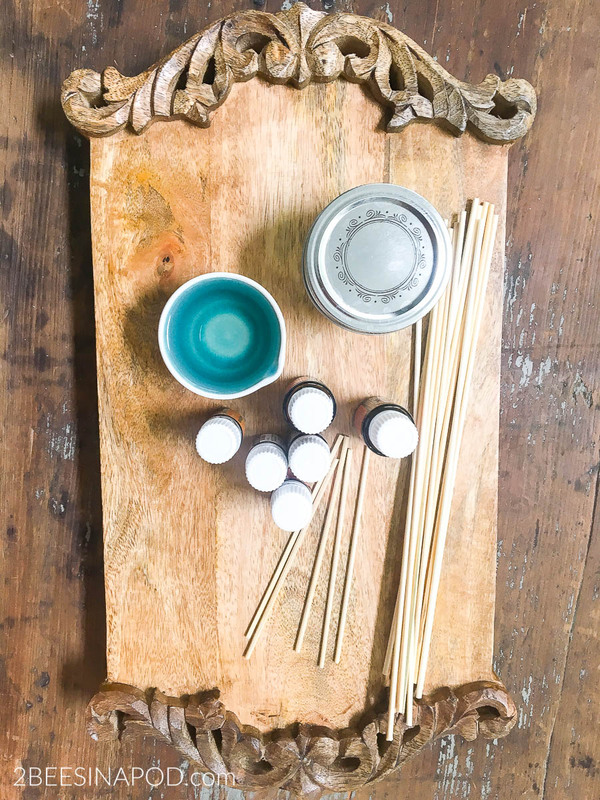 For us adding elements of color helps with the cold and harsh feeling of the season, while still remaining true to our style. Much love!